Diners will be invited to turn detective at a murder mystery evening to celebrate the launch of the latest book from phenomenally popular crime authors RC Bridgestock. The latest DI Dylan novel Reprobates is out on June 19 and promises to be the biggest success to date for husband and wife writing team Bob and Carol Bridgestock, who originally hail from Halifax. Alongside writing the DI Dylan series Bob and Carol are storyline consultants on BBC1 drama, Happy Valley, and have also been consultants for other police series including Scott and Bailey. To celebrate the launch of their fifth novel a restaurant will be transformed into a murder scene and diners will turn detective to follow the clues to solve the mystery of ‘whodunit’. The black tie event will take place at Prego Italian restaurant in Brighouse on Saturday July 5 and there will also be a raffle to raise money for the Forget Me Not children’s hospice in Huddersfield – the couple’s chosen charity for 2014 – as well as the chance to win a signed copy of Reprobates. 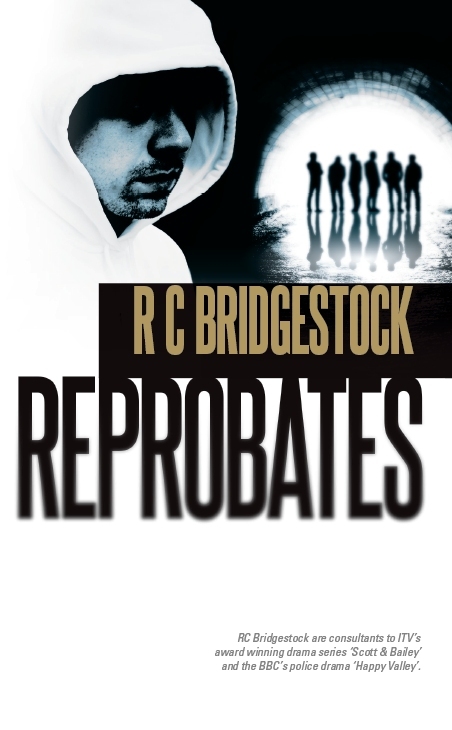 Carol said: “Reprobates is similar to the others in the DI Dylan series in that it is a true police procedural – nothing that happens in the novel is different from how it would be in real life. It gives the reader the chance to sit on the shoulder of a detective and see exactly what happens as a murder case progresses. “We do draw on the actual experiences of police inspectors in these scenarios – for example, who knew that cramp is a problem when you spend such a lot of time in a mortuary, because the constant low temperature makes the floor very cold and this seeps into your bones through your shoes. The plot of the couple’s fifth book is set in the fictional Yorkshire town of Harrowfield, where Jack Dylan is a detective inspector and his wife Jen works in the force’s personnel department. Burglars strike at the local mortuary but the only thing missing is the body of a 30-year-old woman. The same morning, police divers pull a man’s body out of the nearby canal. Then a masked intruder is stabbed by a female householder – but all is not as it seems… there is a link that connects the cases whose depths are murkier than that of the canal. The Bridgestocks draw on their 50 years’ combined experience to make the DI Dylan series the ultimate in authentic and accurate police procedurals. Bob was a Senior Investigating Officer with West Yorkshire Police and in his final three years alone was in charge of investigating 26 murders, working on among others the Yorkshire Ripper case and the murder of Morley schoolgirl Sarah Harper. Carol, meanwhile, draws on her time as a police admin support worker to flesh out the characters and bring them to life. The couple’s first novel, Deadly Focus, was self-published in 2009. In June 2011 this was re published by Caffeine Nights Publishing when the couple signed a contract with the publishing house for all of the DI Dylan series. Tickets for the murder mystery evening cost £35 and are available from Prego at the Waterfront Lodge and Hotel, Huddersfield Road, Brighouse, in person or by ringing 01484 715566. Bob and Carol will be signing copies of their books at the event. Guests wishing to stay overnight can enjoy a special rate at the adjoining Waterfront Lodge, with a single room available for just £30, doubles for £40, executive rooms for £55 or a deluxe suite for £65. All prices include breakfast the next morning. Reprobates is out on June 19 but is available to pre-order now from Amazon and other leading retailers. The first RC Bridgestock novel Deadly Focus was published in 2009. Since then they have enjoyed considerable success with their follow-up novels Consequences (2012), White Lilies (2013) and Snow Kills (2013).